War in Yemen: Do not look away from what this child is trying to tell us. Do not look away from what this child is trying to tell us. Your three-year-old daughter, Kholod, has deep brown eyes that have seen more than what she ought to in a lifetime. You plait her thin brown hair. It hangs between her sharp shoulder blades, resting on her prominent vertebrae that look almost like a row of beads running down the centre of her back. Kholod is sick. Really sick. She’s been admitted to hospital with severe acute malnutrition. It’s unlikely she will survive. Your husband is a teacher; one of the most important and noble professions on the planet. He hasn’t been paid in seven months. You have no way of feeding any of your five children, let alone yourself. You feel as though you’re trapped in a nightmare, the kind where you already know the end. You will watch your children die, powerless to stop it. Kholod, aged three. Image via Getty. Kholod, age three. Image via Getty. Your son Ghazi is 10 years old. He weighs eight kilograms. You&apos;ve done your best. You mix mouldy bread crumbs in with water and salt. But some days you don&apos;t even have that. You create a paste by boiling leaves and pray that will be enough to sustain your children. You know Ghazi would cry if he could but he can&apos;t. He&apos;s too weak. Ghazi can barely breathe, his body has almost entirely shut down. Now hospitalised, Ghazi cannot eat. He does not have the strength to swallow. Instead, they inject him with nutrients. But Ghazi is not the exception. He&apos;s the rule - one of 11.3 million children in Yemen in desperate need of food because of a war that has nothing to do with them. Ghazi Saleh, aged 10. Image via Getty. 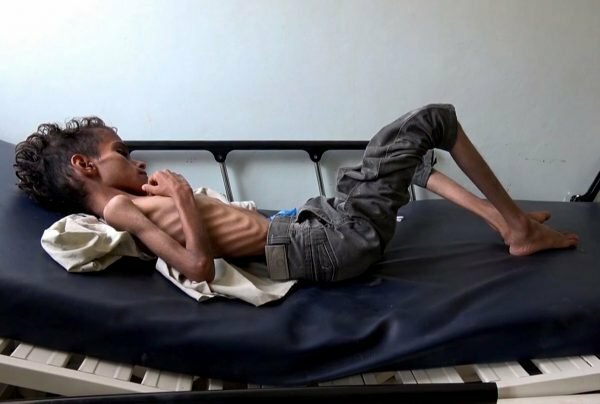 Yemen, according to the United Nations, is the site of the world&apos;s largest humanitarian crisis. It is also entirely man-made. Since 2015, the Saudi-led coalition, backed by the United States, has waged war on Yemen. They&apos;ve launched relentless airstrikes and imposed a blockade, destroying the economy, and killing tens of thousands. 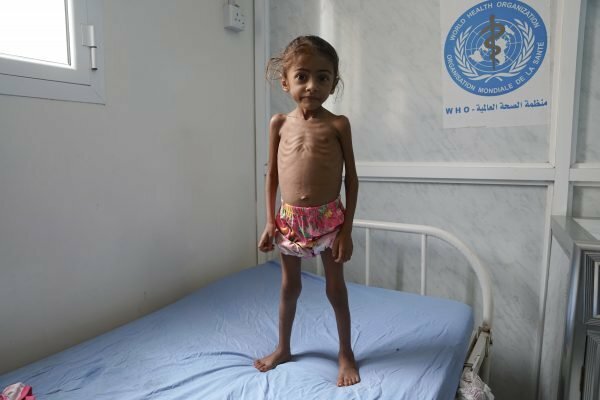 On Wednesday, the aid organisation Save the Children estimated that 85,000 Yemeni children under five have died of starvation. 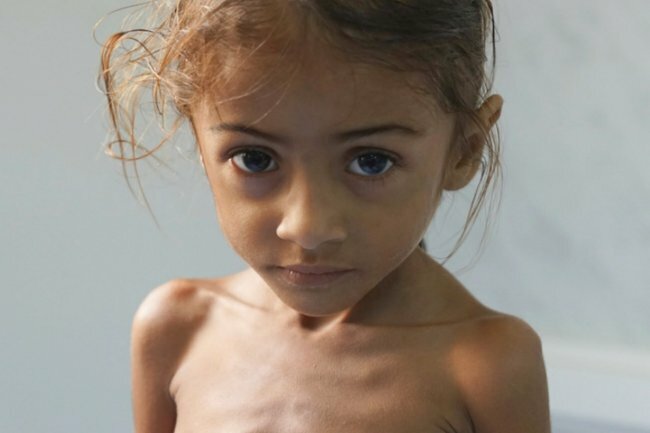 David Beasley, the managing director of the World Food Program, said last week: "What I have seen in Yemen this week is the stuff of nightmares, of horror, of deprivation, of misery. 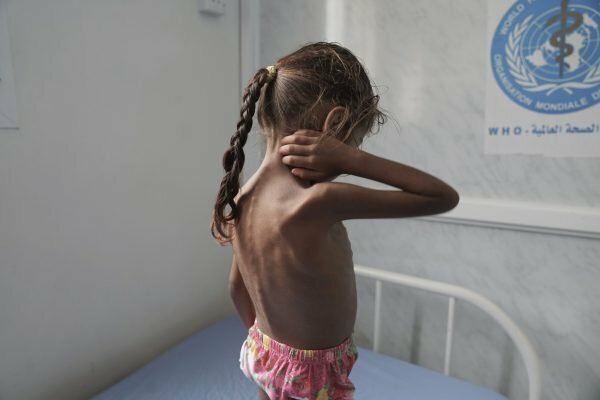 And we — all of humanity — have only ourselves to blame..."
The crisis in Yemen gained international attention in mid October, following the widespread publication of a photograph of seven-year-old Yemeni girl, Amal Hussein. Amal was severely emaciated and clearly in pain, clutching her skin, while staring vacantly at nothing in particular. Less than a month after the image ran in The New York Times, the young girl died, breaking the hearts of her family. When we look at the faces of Kholod, Ghazi and Amal, they tell us something statistics cannot. These are people - as human as you or I. They are dying of causes entirely preventable. They are desperate and in pain, consigned to a fate simply by virtue of where they were born. It is impossible to multiply the story of one of these children by 85,000. Our minds cannot fathom it. So we just need to pay attention to one. Today, there&apos;s something we can all do. Save the Children, the United Nations and more than 100 other organisations are urgently appealing for donations. 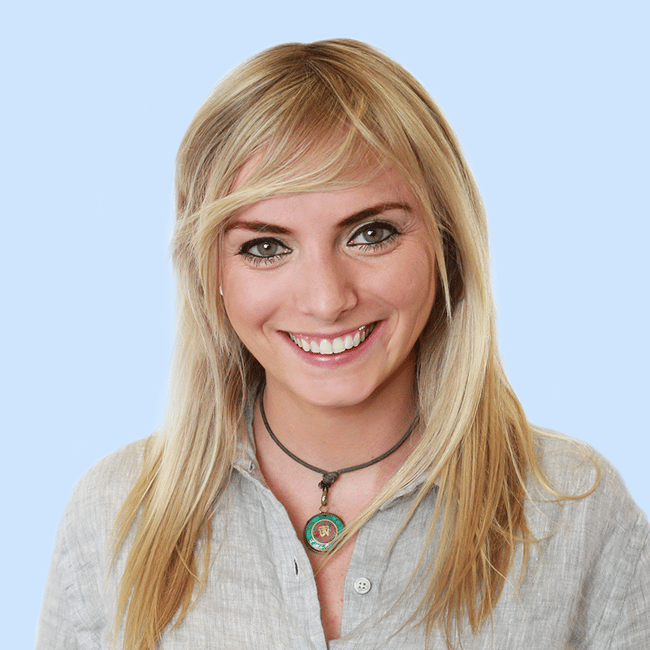 From more than 10,000 kilometres away, we can help. And these children are begging us to. You can donate to Save the Children, here. You can donate to the United Nations, here.